Our full year program runs from September through June. Registration is open until January 31st, 2019 based on availability and leveling. 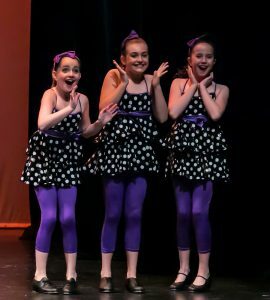 We offer the following classes; Pre-Dance, Ballet, Pointe Tap, Jazz, Acro, Hip-Hop, Musical Theatre, Modern, Contemporary, Singing & Acting. In addition to our seasonal classes the Broadway Arts Centre is proud to offer Summer and Holiday Camps, Birthday Parties and Adult Dance.